1537 – 1542 Schooling Chantry school at Chelmsford in Essex. 1542 – 6 St Johns college c. 1546 – 50. 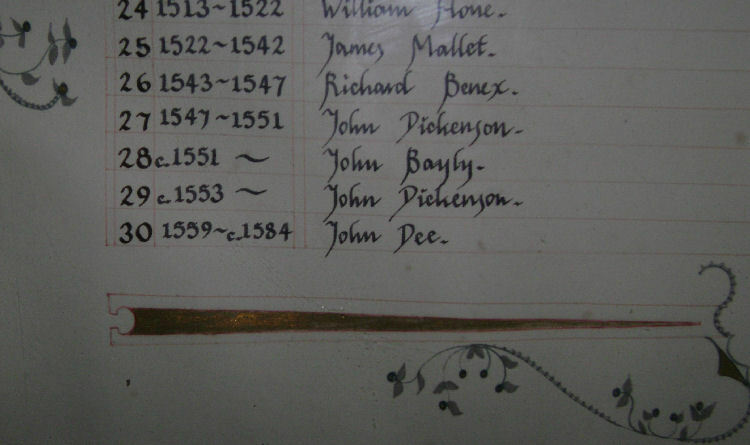 1545 Fellow of St Johns college. 1546 – 1550 fellow of trinity. 1550 In Paris expounding MATHEMATICAL MAGIC, philosophy revived by Ficino, brings NAVIGATIONAL instruments to England. 1551 – 55 Gains the patronage of Duchess of Northumberland and her husband. 1551 Offered professorship at the University of Paris, he declined. 1552 King Edward grants him a pension of 100 crowns. 1553 Exchanges pension for rectorship of UPTON UPON SEVERN in Worcestershire, developed the PARADOXICAL COMPASS or chart. 1554 Offered a position as a lecturer of MATHEMATICS at Oxford, he declined. 1556 Petitions queen Mary to preserve the monastic libraries. 1558 -1602 was freelance advisor to the crown. 1564 Monas Hieroglyphia, travels to Presburg where he presents a copy of Hieroglyphoa to Maximillian II, to whom the work was dedicated. 1548 – 51 Studies at Louvain university with Gemma Frisius and Mercator. 1551- 83 Consultant to Muscovy company. 1570 Billingsly translation of Euclid, added famous preface in justification of MATHEMATICS. 1577 Perfecte arte of NAVIGATION. 1582 Involved with Edward Kelly in OCCULTand ALCHEMICAL works. 1583 Prince in Poland,Lasky, promises Dee compensations he did not receive from Elizabeth I. 1584 Travels to Praque, alienates Rudolph and is temporarily banished from empire. 1592 – 1605 Wardenship of Christ College, Manchester…did not fill post. 1608 Died in poverty Mortlake, Surrey, England. Sources-----life of John Dee; an Elizabethan crystal gazer, by Charlotte Fell Smith. There is much to discover about John Dee and he is a mystery all by himself. But to find him popping up in the geometry makes him even more intriguing. Some bits I will repeat here to back up the Templar Mechanics thoughts on mathematics/geometry ………but visit the link for the whole article …its well worth it. “He believed that mathematics (which he understood mystically) was central to the progress of human learning. The centrality of mathematics to Dees vision makes him to that extent more modern than Francis Bacon, though some scholars believe Bacon purposely down played mathematics in the anti occult atmosphere of the reign of James I . It should be noted though, that Dees understanding of the role of mathematics is radically different from our contemporary view. Dee’s most long-lasting practical achievement may be his promotion of mathematics outside the universities. His ‘Mathematical preface’ to Euclid was meant to promote the study and application of mathematics by those without a university education, and was very influential among the ‘mecanicians’, the new and growing class of technical craftsmen and artisans. Dee’s preface included demonstrations of mathematical principles that readers could perform themselves. Dee was a friend of Tycho Brahe and was familiar with the work of Copernicus. Many of his astronomical calculations were based on Copernican assumptions, but he never openly espoused the heliocentric theory. Dee applied Copernican theory to the problem of calendar reform. His sound recommendations were not accepted, however for political reasons. TM ……John Dee , Leadenham……..and the possibility of him owning the VOYNICH MANUSCRIPT…….which shows things that many believe to be ‘off planet’ , or ‘someones view into another dimension.’….either of these is a possibility with the knowledge John Dee had acquired regarding the occult. “The Voynich Manuscript is considered to be ‘The Most Mysterious Manuscript in the World’…To this day this medieval artefact resists all efforts at translation. As always do your own research and thinking, there is a lot on John Dee available through the net and other sources, the above is only food for thought. 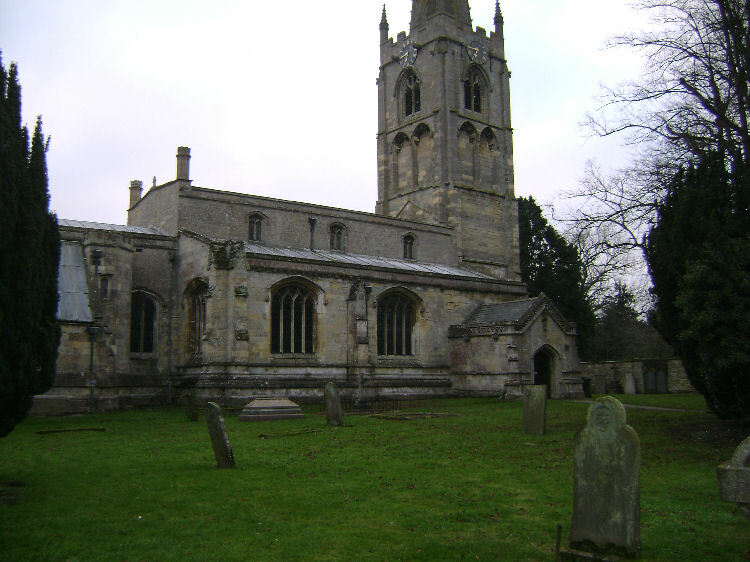 1553 Jon Dee takes Rectorship of Upton Upon Severn in Worcestershire. While researching I came across a net article. 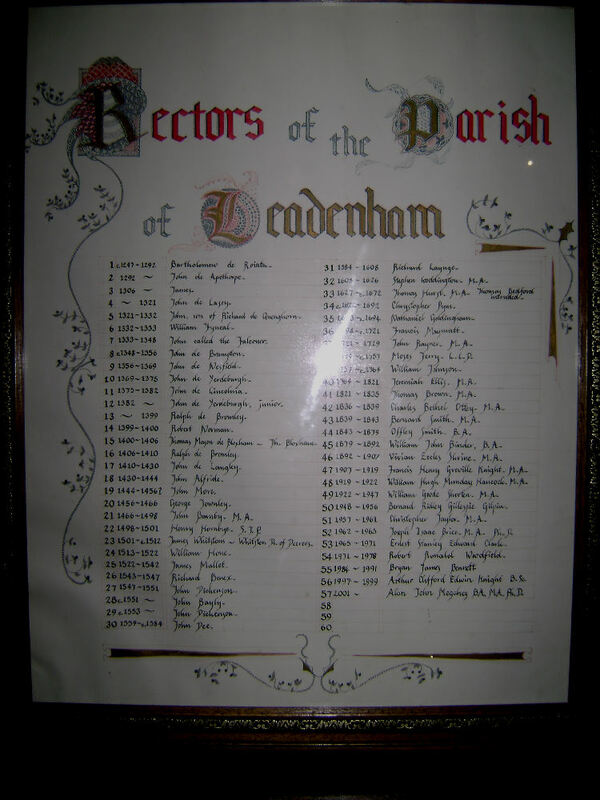 TM - A few years later he turns up at Leadenham, a major church involved in the geometry…..I wonder if some knowledge gained at Upton Upon Severn led him to Temple Bruer and the geometric ‘Energy Pentacle’…through which he worked his craft. If you notice, the life summary also shows an interest in navigation aids. At Temple Bruer is a triangular piece of land called the ‘cocked hat’ plantation. BLANKNEY – TEMPLE BRUER-HOUGH ON THE HILL LINE marks the ‘cocked hat’s’ longest side and is also the winter solstice line. Ermine Street and the lane up to the preceptory marking the other two sides of the triangle creating the ‘cocked hat’. I came across this in a book by: Ralph Ellis..titled… THOTH –ARCHITECT OF THE UNIVERSE. RE: Finding the circles centre. Considering there are two Vesica Piscis circles nearby it might be possible that there are other circles to discover.